EISC is always recruiting young Engineers in Training to help them develop their career and grow with our clients into Professional Engineers specializing in your business. EISC has is connected with a wide range of Technologists and Technicians for all disciplines. EISC can provide Process Engineers to help optimize your Facility. Whether you are evaluating economics or fine tuning the process EISC can provide the personnel to achieve your goal. EISC can provide Facility Engineering services for your plant optimization projects (management of change). Whether the scope of work is Electrical, Mechanical, Civil or Structural EISC can provide the disciplines to move your project forward. EISC can provide Engineers specializing in pumps, compressors, pressure vessels, storage tanks and Power and Process piping. EISC will provide the qualified experts to perform all your Civil Engineering requirements. From evaluating existing structure integrity to preparing construction work packages, EISC will find the right person to assist your project. When planning your next Turnaround, Shutdown or Unit outage, EISC can provide you the technical resources such as Mechanical, Structural, Instrumentation and Electrical Planners Drafters and AutoCAD operators. 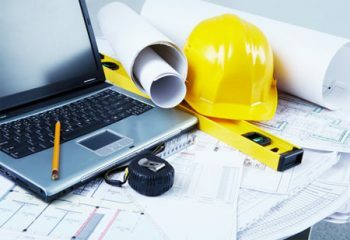 EISC can provide AutoCAD designers and Drafters of all disciplines to assist you with your Front-end engineering and design of your next phase or expansion. Elite Information Systems and Consulting Inc. (EISC) was founded in September of 2000 with a vision of an Elite consulting company, where every consultant can be counted on to be an elite professional, and a specialist in their field. A company that does not hire inexperienced resources and market them as professionals. A company where resources can be counted on to be able to step in, and immediately get the job done.